Wendy Pua | Malaysia Chinese Lifestyle Blogger: Why Kids Love International Leo Day ! Today I am going to share with you why Kids Love International Leo Day ! 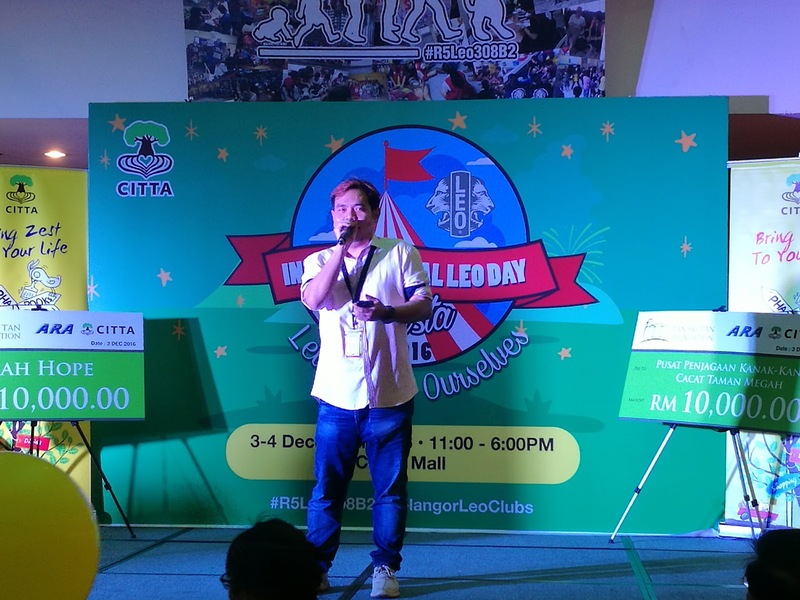 what's happening during International Leo Day at Citta Mall with 8 LEO Clubs around Selangor last Saturday! The Fiesta doubles as a day for LEO members to spread awareness of the club’s community engagement activities and to raise funds for homes through their lifestyle bazaar and celebrity pre-loved sale. Learning step by step and they remember the steps very fast! 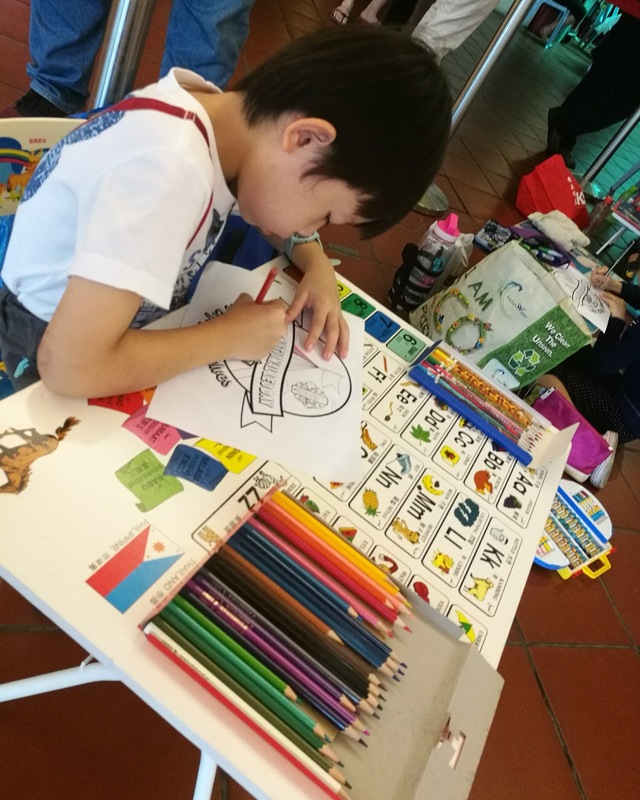 Ops, Maybe I am so Old to memories all the steps..
Coloring Contest On Going During International Leo Day Fiesta ! 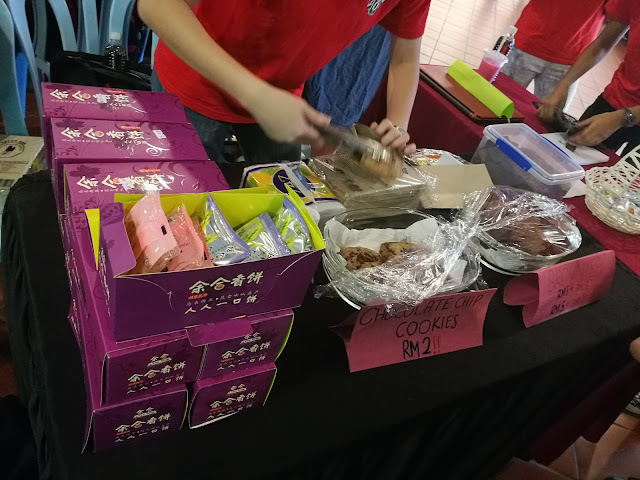 All Kids are on sugar high and enjoy munching all this yummy homemade food at the same time there are doing to charity as well.. 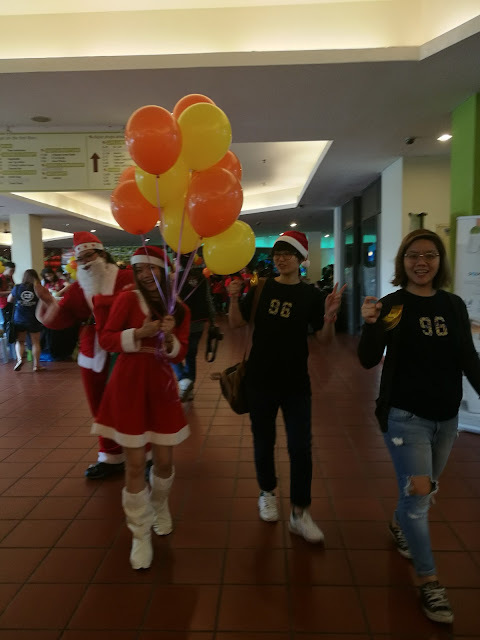 Even Santa Claus & Santarina Is Coming Early for the Kids! Balloons & Candy is Giving Out to Kids !! That's Why Kids Love International Leo Day ! How I wish I am a Kid Again to getting Balloons , Joining Coloring Contest !! 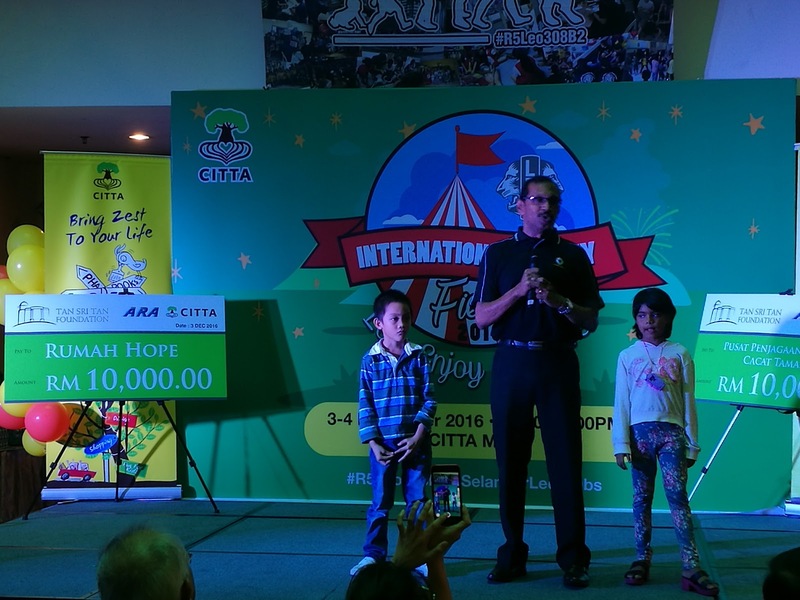 As part of the festivities, CITTA Mall has engaged with two homes, Rumah Hope and Pusat Penjagaan Kanak-Kanak Cacat Taman Megah (PPKKCTM), and will be working together with the Tan Sri Tan Foundation, part of the larger Tan Chin Tuan Foundation from Singapore who is donating RM10,000 to each home, to spread some Christmas cheer to those in need. 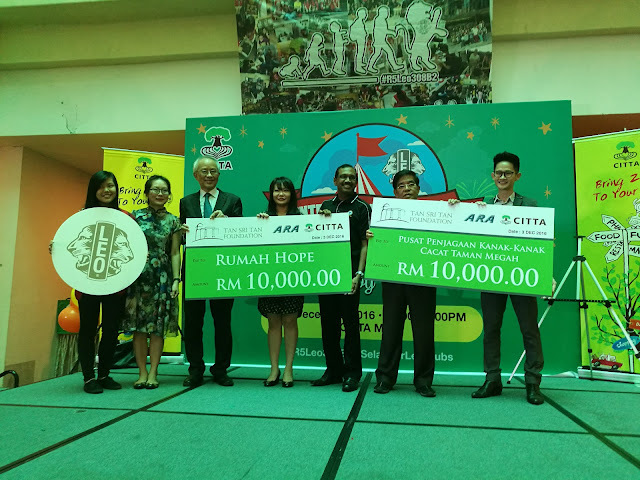 This is all part of a larger ARA CARES (Comprehensive Assistance & Responsible Engagement Services) initiative by ARA Asset Management Limited, the mall owners for CITTA Mall and four other malls in Malaysia, namely 1 Mont Kiara, Klang Parade, Ipoh Parade, and AEON Bandaraya Melaka. Something About Rumah Hope ， Established in 1994, Rumah Hope seeks to provide a suitable social setting for abused, neglected, and under-privileged children. 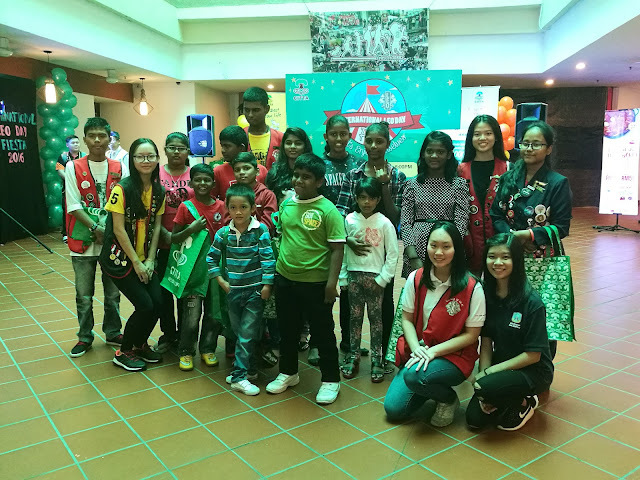 Two unit blocks, Rumah Hope 1 and Rumah Hope 2 on the grounds of Good Hope Lutheran Church in Paramount Garden, Petaling Jaya, are able to house a maximum of 70 children. 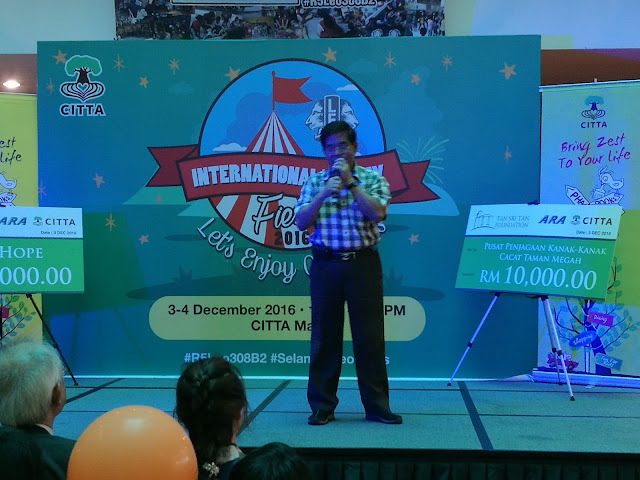 About Pusat Penjagaan Kanak-Kanak Cacat Taman Megah was founded by the late Mr. S. K. Manikumar A/L S. Kanan, himself physically handicapped, with a vision to provide an environment for the benefits of special children. Most of the children are disabled with various disabilities such as Down syndrome, microcephalous, hydrocephalous, epilepsy, muscular dystrophy, physical impairments, intellectual disabilities, as well as speech, audio and visual impairments. The rest are normal children who come from broken, abused or single-parent families. 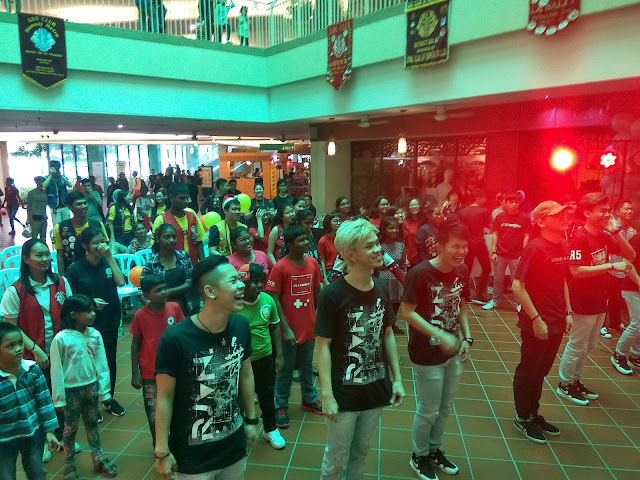 Don't Want to Miss Another Chill Out Saturday @ Citta Mall? Coming with Us Next Month (January 2017)! Chill Out Saturday was created as a platform for CITTA Mall to engage with neighbouring communities (heavy emphasis on families) and to encourage them to participate in activities that have been organised with many of the mall’s tenants. 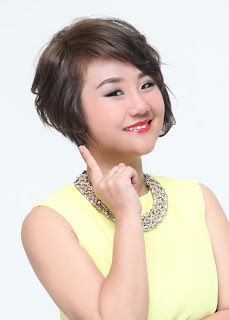 The ultimate objective is for Chill Out Saturday to become one of CITTA Mall’s signature monthly events.